EXIT Realty Sun City believes in supporting local small business owners who are everyday hard working people doing their best to take great care of their clients and take pride in the work that they do. 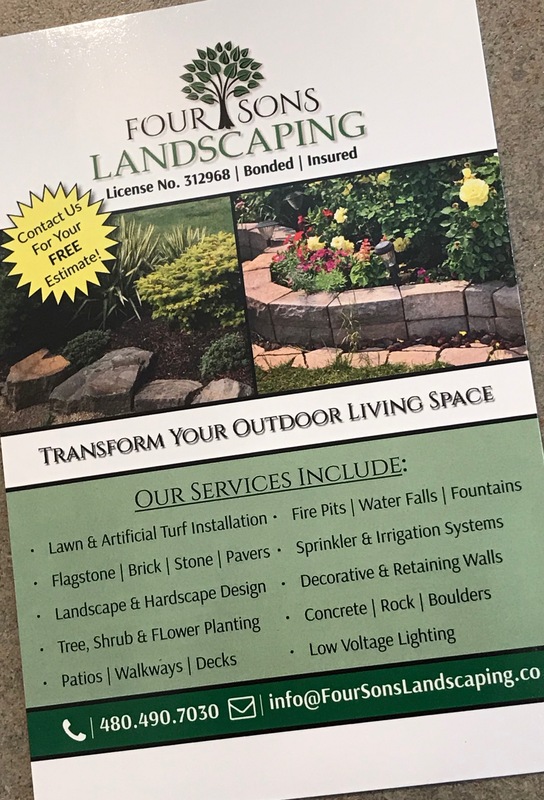 This week’s business SHOUT OUT goes to Four Sons Landscaping. They are a 3rd generation family owned operation. Bonded, Licensed and Insured and provide warranties on the work that they do!